Christmas wouldn’t be Christmas without at least one cookbook under the tree, right? 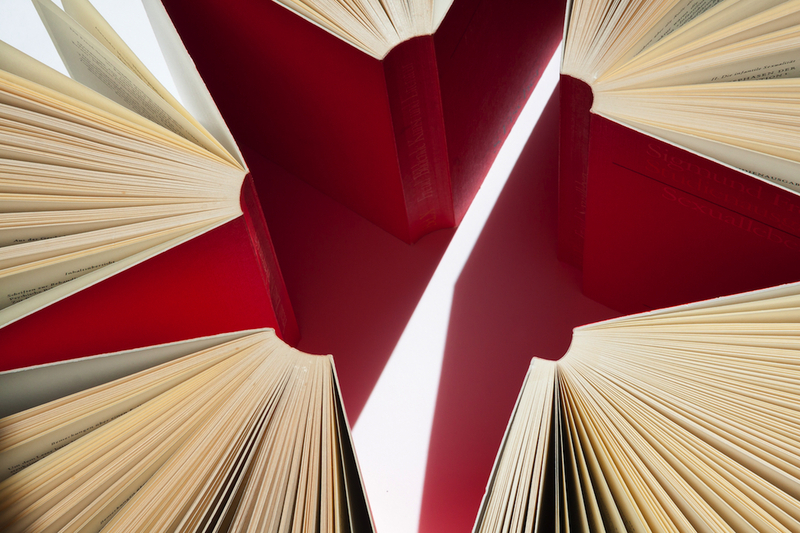 Food Wine Travel has brought you news of lots of lovely new books throughout the year, but now it’s time for a round-up of 10 books you might like to give to someone special or put on your wish list. 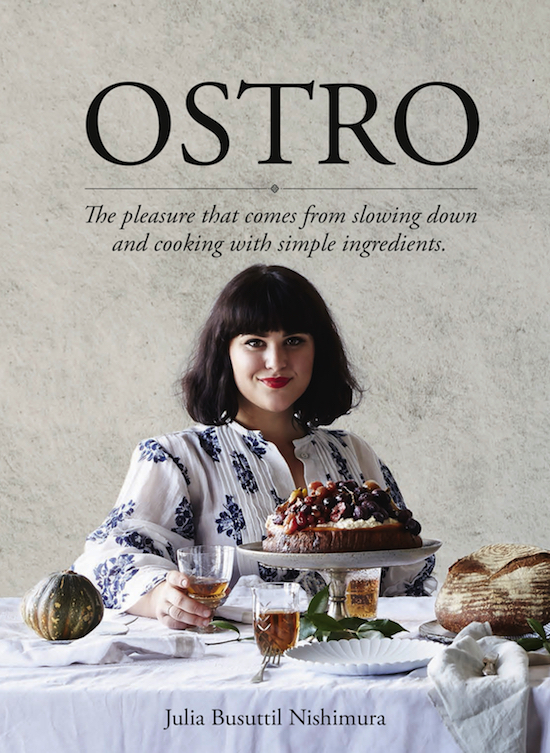 Ostro, by Julia Busuttil Nishimura, published by Plum (Pan Macmillan Australia). Simple, beautiful food that is comforting and generous in spirit. Exactly the way I like to cook and eat. 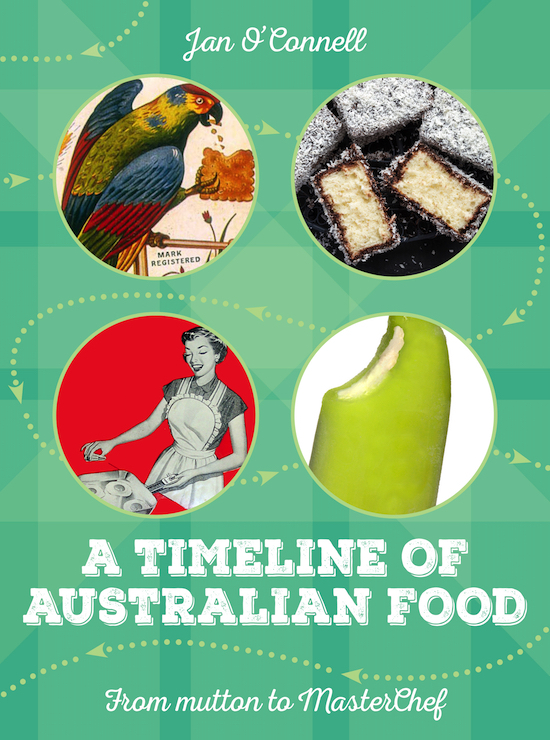 A Timeline of Australian Food, by Jan O’Connell, published by Newsouth. This is the only book in my line-up of 10 that doesn’t contain recipes but I’m including it because it’s a fun book that shows how our eating and drinking habits, the way we shop and our food production methods have evolved in Australia from 1860 through to 2010. It’s full of what the author describes as “tasty trivia and a generous dash of nostalgia”. It isn’t a comprehensive food history, nor does it have reams of text to wade through. Rather, it is presented in digestible chunks, with nice tight little snippets that tell us when, for example, packaged tea was introduced to this country (1881), when Weet-Bix was launched (1923) and where and when Australia’s first all-you-can eat smorgasbord restaurant opened (The Cuckoo in the Dandenong Ranges in 1958). 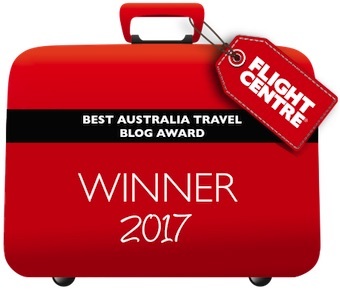 Inevitably with a book of this nature, some of the ‘facts’ will be up for debate – I’m pretty sure Australia’s first Chardonnay vines weren’t planted in Cowra in 1973 – but you’ll have fun finding out how Tim Tams got their name, and why Australia’s first commercial olive oil was produced in a prison. 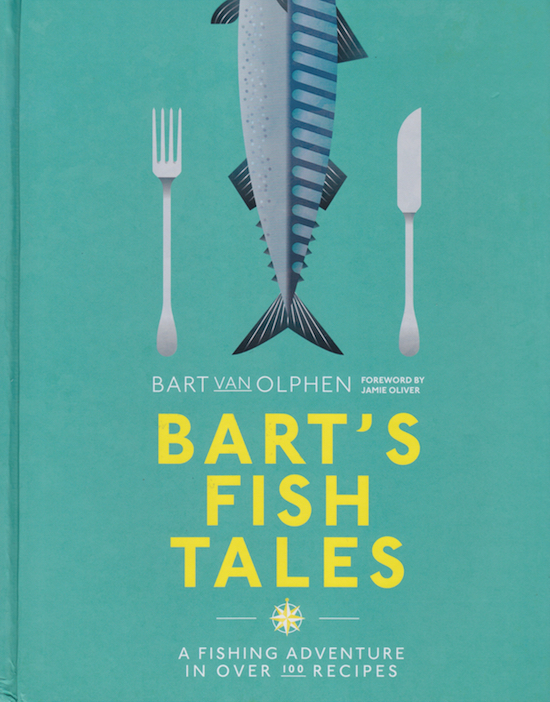 Bart’s Fish Tales, by Bart van Olphen, published by Pavilion. “Just look for the blue fish” is Bart’s answer to the question of whether we should eat less fish. Of course we shouldn’t eat less, says Bart, but we should make conscious choices and that means looking for responsibly sourced fish with a blue and white MSC label. MSC (Marine Stewardship Council) is an independent worldwide certification program that tells you the seafood is wild, traceable and sustainable. The author is on a mission to change how people buy and eat fish, so he has peppered the book with great yarns from his travels around the globe, meeting fishermen and women who care for the ocean. One of his profiles is of a prawn fishery in Exmouth, Western Australia, and his description of what makes the prawns so good is fascinating – indeed, he says that just like wine, prawns have a terroir and those from the Exmouth Gulf are the equivalent of a shellfish Grand Cru. Who would have thought? Bart sails into Canada for lobster, Spain for anchovies, the Maldives for tuna, Iceland for cod and haddock, the Netherlands for oysters and mussels, and other ports of calls. His book is quite a tome but worth dipping into, and the fabulous recipes and photos add to the pleasure. 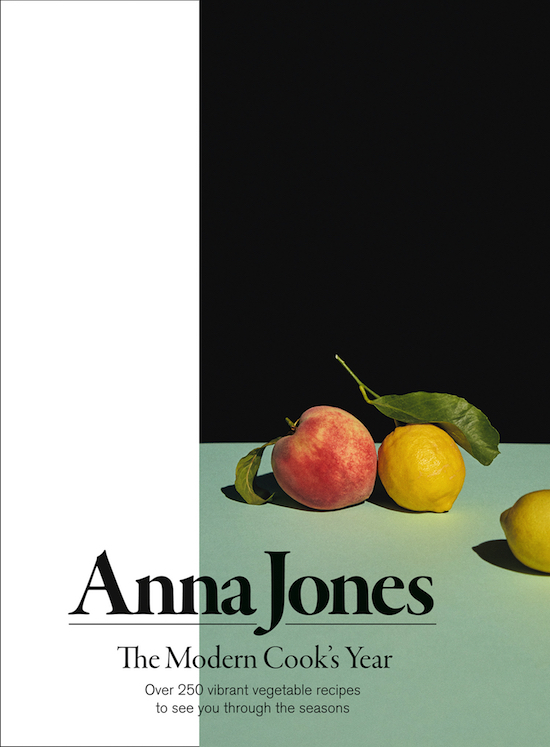 The Modern Cook’s Year, by Anna Jones, published by 4th Estate (HarperCollins). There’s a recipe and image for Summer Beet Salad in this lovely book that looks and sounds utterly divine. Dressed with orange blossom water, olive oil and honey, and with goat’s curd scattered amongst the red and golden beets, it looks like an artist’s palette and yet is so incredibly simple to make. It’s one of more than 250 beautiful and inventive vegetable recipes in this very modern book. The book is divided into chapters according to the seasons, and at the start of every chapter, there’s a list of produce that is at its best during that particular season. 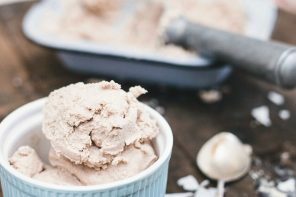 There are breakout sections on subjects as diverse as herbal infusions, making friends with your freezer, juicing, brewing your own kombucha, and homemade curry pastes. Highly recommended for vegetarians and anyone else who wants to liven up their vegies. 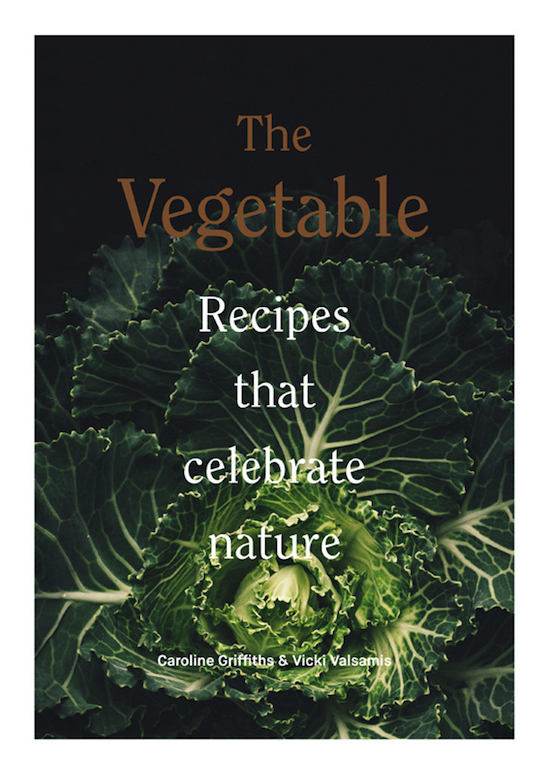 The Vegetable, by Caroline Griffiths & Vicki Valsamis, published by Smith Street Books. Another book that helps lift vegetables out of the ordinary is this one by a pair of Aussie food stylists. Subtitled “Recipes That Celebrate Nature”, it is divided according to types of vegetables – roots, brassicas, seeds and pods, bulbs, tubers, fungi and leafy greens. Again, the photography is a work of art. I’m always looking for recipes that make vegies the star of the plate, and The Vegetable provides loads of inspiration. 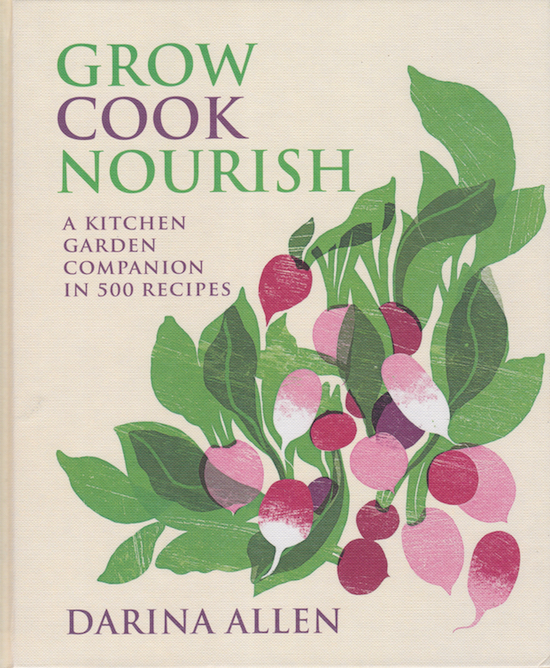 Grow Cook Nourish, by Darina Allen, published by Kyle Cathie. I’ve had the privilege of meeting Darina Allen a couple of times and as a tireless campaigner for eating fresh and local, she is a true inspiration. She runs the world-renowned Ballymaloe Cookery School in County Cork, Ireland; founded the first farmers markets in Ireland; and is one of the leaders of the Slow Food movement in Ireland. Darina produced 15 books before Grow Cook Nourish but she says this one “may just be the most important one I ever write”. In over 600 pages, including 500 recipes, she shows how to achieve your own harvest and then use it to its full potential. You don’t need green fingers and you don’t need a lot of space – even a window sill will do. This huge compendium is a valuable resource for anyone who wants to live and eat well. Bursting with advice, inspiration, flavour and deliciousness, its message is universal, its information widely applicable and its recipes a global feast. 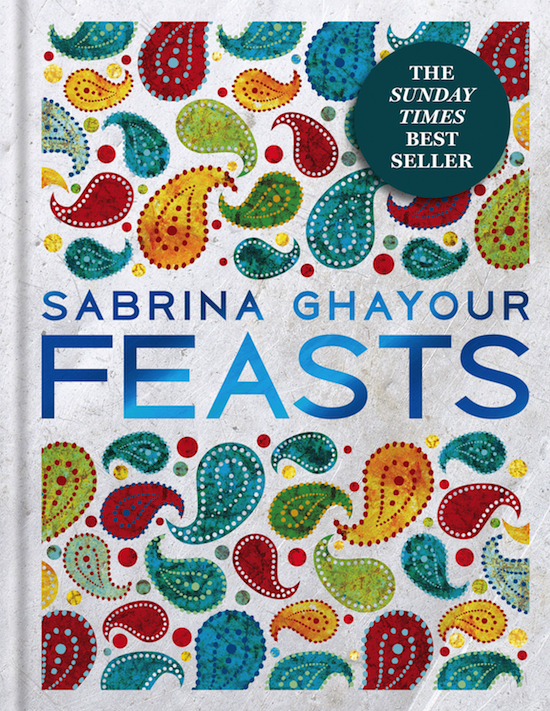 Feasts, by Sabrina Ghayour, published by Hachette Australia. Speaking of feasts, there are feasts galore in this follow-up book to Persiana and Sirocco. The latter two are among my favourite Middle Eastern cookbooks, and in this latest one, the author continues with her theme of Middle Eastern dishes that are simple and straight-forward but which deliver big in the flavour sweepstakes. 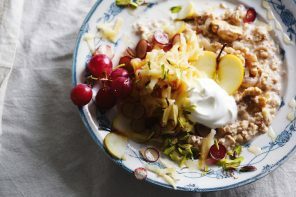 The book is broken down into chapters on breakfast and brunch, weekend feasts, vegetarian feasts, special occasions, comfort food and other menus that are perfect for sharing with friends and family. The author grew up in a Persian household and if feasts like this were on the menu for their family gatherings, what a blessed lot they were. 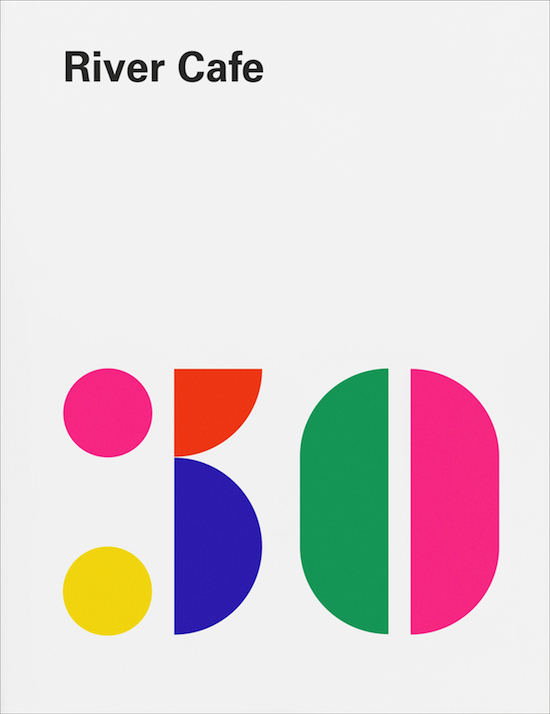 River Café 30, published by Ebury Press. I’m sorry to say I haven’t dined at London’s River Café. I’ve had only a handful of visits to London over the years (which I’m also sorry about) so dining at River Café has always eluded me. But I’ve watched this restaurant’s development from afar, and have long admired Ruth Rogers and the late Rose Gray for their tireless championing of good Italian cooking. With recipes from Ruth, Rose and head chefs Joseph Trivelli and Sian Wyn Owen, River Café 30 celebrates 30 years of operation for this remarkable restaurant. 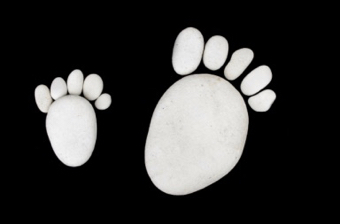 Ruth recounts how it all began, and writes a moving tribute to Rose. The team re-visit the best dishes from the restaurant’s first blue cookbook, updating them and adding 30 new favourites including their signature Chocolate Nemesis dessert. The book is beautifully presented with archive images, hand-drawn illustrations, new photography and striking graphics. Now I really badly want to dine there. Jamie Oliver 5 Ingredients. Quick & Easy Food, published by Michael Joseph. Jamie Oliver got his start at the River Café and look where it has taken him. Going by the list in the back of 5 Ingredients, this is his 20th book. Staggering, isn’t it? His whole career has been built on the premise of making food accessible, but the recipes in this one are perhaps the easiest yet. 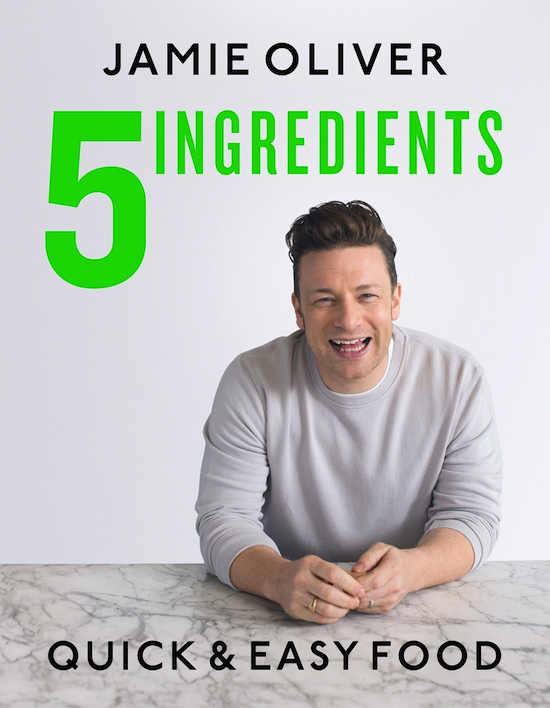 All the recipes genuinely use just 5 ingredients, although some ingredients are commercially bought sauces or curry pastes. And they are certainly quick – either on the table within 30 minutes or put together in minutes before allowing the oven or stove to do the rest of the work. “I want everyone to enjoy cooking from scratch and, armed with this book, there are no excuses,” says this cooking dynamo. 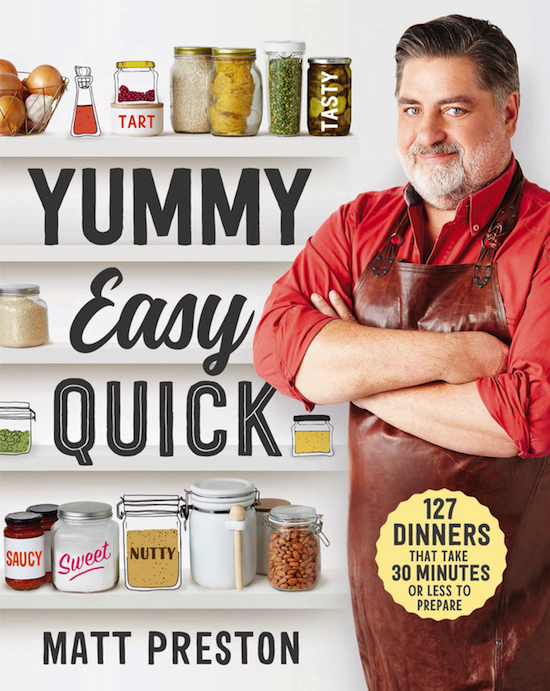 Yummy Easy Quick, by Matt Preston, published by Plum (Pan Macmillan Australia). Following on in the same vein, Matt Preston has produced a book of 127 dinners that take 30 minutes or less to prepare. That’s three months of the new year sorted. Note that ‘30 minutes’ refers to preparation time. Many of the dishes take longer when the cooking time is factored in. 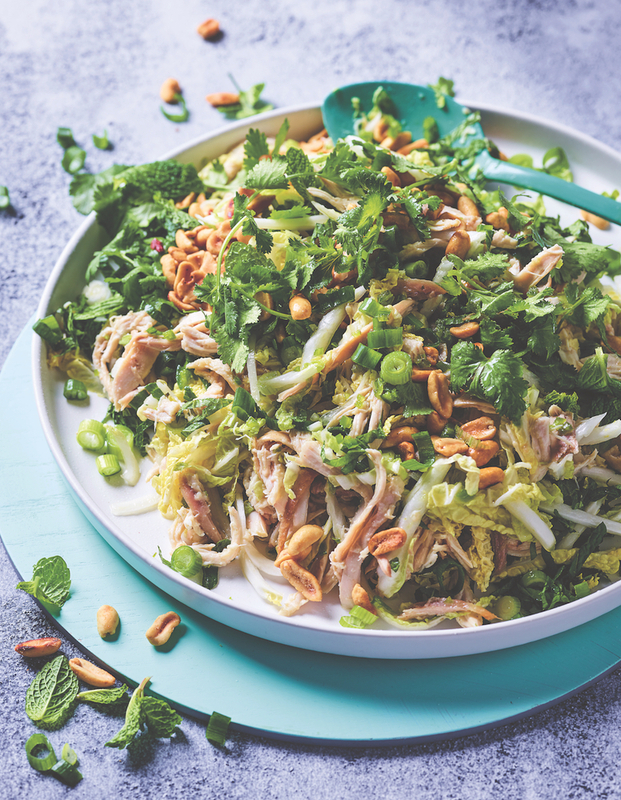 Still, these are fuss-free recipes that make use of everyday ingredients, with the television celebrity’s trademark passion for creativity and flavour. It’s a long way from Ostro’s go-slow approach but there’s room in the kitchen for all types, so long as the end result tastes great. Book Depository has great deals on all these lovely books, and if you order ASAP, they can ensure free delivery in time for Christmas. 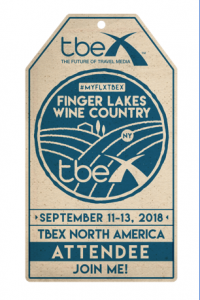 Food Wine Travel gets a small commission on purchases through this site but it doesn’t cost you any extra. A lovely round up, Christine. A great selection of vegetarian books and recipes – nice to see that plant based eating is becoming increasingly popular. Friday Food Tip #60: mango trifle.